VIZ Media gives anime fans across North America the opportunity to add the sixth and latest feature film of the massively popular NARURTO SHIPPUDEN saga to their personal collections as it announces the release of ROAD TO NINJA – NARUTO THE MOVIE on Blu-ray/DVD combo pack and DVD on November 25th. The Blu-ray/DVD combo pack is a 2-disc set and will carry an MSRP of $29.99 U.S. / $37.48 CAN. The DVD edition of ROAD TO NINJA is a single-disc release that will carry an MSRP of $19.98 U.S. / $34.98 CAN. A variety of bonus features will also make ROAD TO NINJA of special interest to NARUTO SHIPPUDEN fans. These include the original Japanese theatrical trailers, broadcast commercials, and promotional videos offered on both the DVD and Blu-ray editions. The Blu-ray edition features crisp 1080p High Definition video and also includes a special bonus art gallery. The Blu-ray edition contains DTS-HD audio, also with English and Japanese dialogue options and English subtitles. DVD audio selections include English 5.1 as well as Japanese 2.0 dialogue options, with English subtitles. In ROAD TO NINJA – NARUTO THE MOVIE, long ago, a mysterious masked shinobi unleashed the Nine-Tailed Fox onto the Village Hidden in the Leaves to spread chaos and destruction. But the Fourth Hokage, Minato Namikaze, and his wife Kushina Uzumaki sealed the Tailed Beast into their newborn son, Naruto, to save the village, foiling the shinobi’s plan. Years later, Naruto and his friends succeed in driving away the infamous Akatsuki, who have mysteriously returned from the dead. Upon returning to the village, the young shinobi are praised by their families for completing a dangerous mission. Reminded of how alone he is, Naruto begins to wonder what it’s like to have parents, when a strange masked figure appears before him – the same masked shinobi responsible for the death of his parents! VIZ Media also invites NARUTO fans to catch the exciting adventures of the world’s most popular ninja in manga (graphic novel) format (rated ‘T’ for Teens), available in-print and also digitally from VIZManga.com, the VIZ Manga App, and from a host of partner platforms. Fans can further dive into all of the previous NARUTO and NARUTO SHIPPUDEN feature films on DVD or Blu-ray, and also catch anime series episodes and select films on Neon Alley, VIZ Media’s FREE media streaming platform, including brand new, subtitled episodes simulcast with Japan! 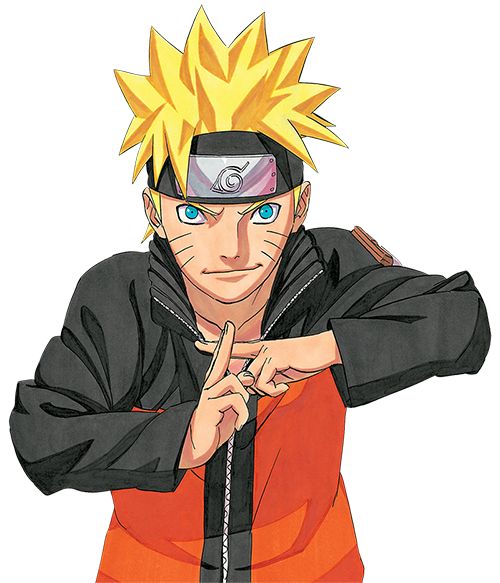 In the NARUTO manga and animated series, Naruto Uzumaki wants to be the best ninja in the land. He's done well so far, but Naruto knows he must train harder than ever and leaves his village for intense exercises that will push him to his limits. NARUTO SHIPPUDEN begins two and a half years later, when Naruto returns to find that everyone has been promoted up the ninja ranks – except him. Sakura’s a medic ninja, Gaara’s advanced to Kazekage, and Kakashi…well he remains the same. But pride isn’t necessarily becoming of a ninja, especially when Naruto realizes that Sasuke never returned from his search for Orochimaru. Plus, the mysterious Akatsuki organization is still an ever-present danger. As Naruto finds out more about the Akatsuki’s goals, he realizes that nothing in his universe is as it seems. Naruto is finding that he’s older, but will he also prove wiser and stronger? Additional information on NARUTO and NARUTO SHIPPUDEN is available at www.Naruto.com. For more information on manga titles available from VIZ Media, please visit www.VIZ.com.